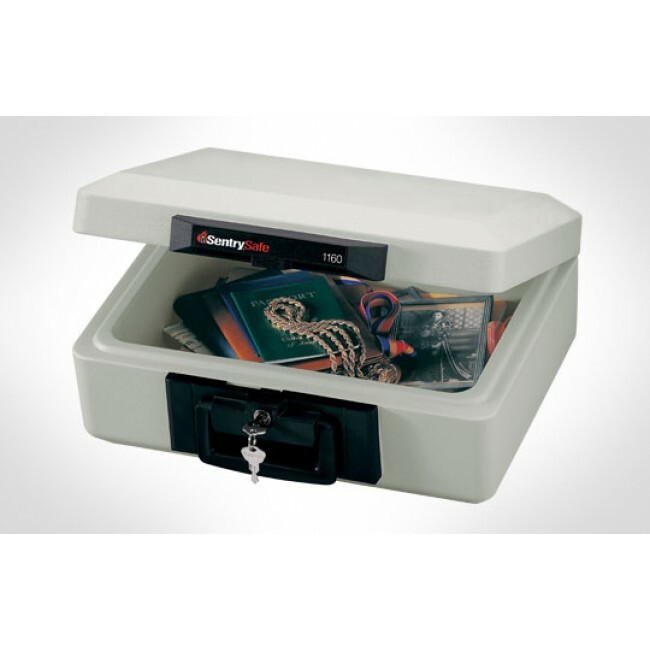 The Sentry 1160 security chest is a small portable security chest. It includes a handle for easy carrying. 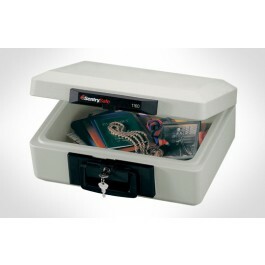 This security chest is large enought to hold files and folders laying flat. The Sentry 1160 comes with UL fire protection (1/2 hour) for documents and ETL fire protection (1/2 hour) for media such as CDs, USB drives, and memory sticks.